#MoviesMusicPlaysFilmFestivalsConcerts: Guide to the 89th Oscars! Guide to the 89th Oscars! The biggest annual movie event in the world will take place on Sunday, Feb. 26 when Hollywood celebrates the 89th edition of the Oscars. The show will be telecast to 225 countries with an estimated audience of over a billion people. That is one crowd the current President of the United States would very much love to command – and Meryl Streep and her fellow actors will again beat him to it. 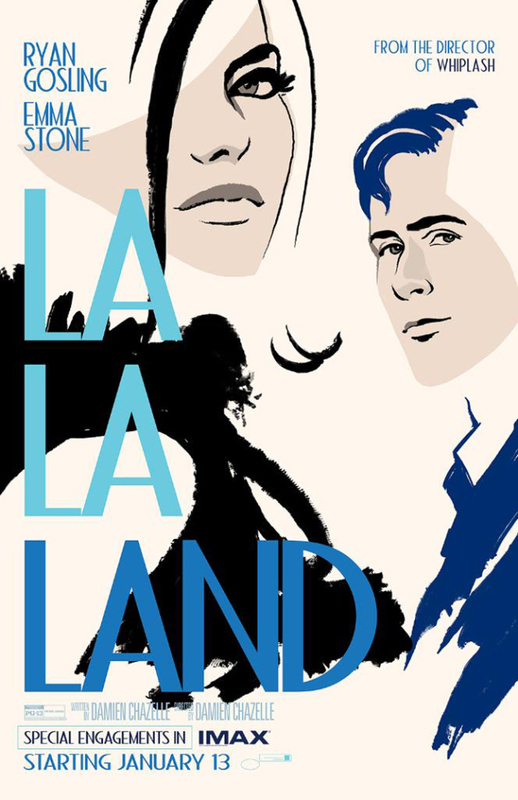 With the expected sweep of “La La Land”, the modern-day musical that celebrates two things that Hollywood loves most – itself and the city of Los Angeles, this year’s ceremony will likely go down as one of the most predictable in years and the real suspense is not who will win what but who will deliver the most politically significant speech of the evening. Look out for Viola Davis! But that does not prevent this writer from dishing out our annual guide and predictions. We shall make up imagined contest in a couple of categories just to create some drama but otherwise consider the contest virtually over. The show this year has a new emcee in Jimmy Kimmel, host of the popular late-night talk show “The Jimmy Kimmel Show,” which once hosted the singing debut of Senator and boxing champ Manny Pacquiao. Before we proceed with our predictions, let me just make a quick disclosure on my personal picks. In terms of overall filmmaking excellence, “Moonlight”, a coming-of-age story of a gay man told in three parts with a fascinating opening sequence that invites thoughtful scrutiny is easily the strongest film of the year. But my top favorite is the somber “Manchester by the Sea” for Kenneth Lonergan’s measured and masterful storytelling and Casey Affleck's terrific and heartbreaking performance. My 3rd favorite is the sci-fi flick “Arrival” for its revisionist alien invasion theme and Amy Adams’ powerful turn as a grieving mother and a linguist tasked to save the world. “La La Land” is my 4th pick for its sheer joy and its rather familiar story of ambition prevailing over romance while “Lion” is my 5th favorite simply for the bucketful of tears I shed. “Lion” is based on the true story of an impoverished Indian boy who accidentally got himself on a train bound for Calcutta thousands of miles away from home. His search for home would take him to Australia and a quarter century of his life. The secret to a good film is a good story. This one has it. I loved this movie! It features Oscar-nominated performances by Dev Patel (who could pull an upset in the best supporting actor category) and Nicole Kidman. But it’s Sunny Pawar, the child actor who played the young lost boy that commands and carries the first hour of the film to perfection! And now our predictions in several key categories. Winner: “La La Land.” The film has won both the Producers and Directors Guild Awards and was honored with a win at the BAFTAS last week. And it has grossed more than a quarter billion dollars in global box office! Hollywood loves a winner! Winner: Damien Chazelle. He will become the youngest winner in this category at 32. In contrast Martin Scorsese didn’t win until he was 64. Winner: This is supposedly Casey Affleck’s award to lose but a late surge and a surprise win by two-time Oscar winner Denzel Washington at the Screen Actors Guild (SAG) makes this one an interesting contest. It does not help that Affleck is still being dogged by an old sexual harassment case against him that’s already been settled years ago but despite all that I still call this category in his favor. Winner: Emma Stone. It’s a La La Land night, remember? Winner: Mahershala Ali will likely win given the weightier subject matter of “Moonlight” but Dev Patel could pull the evening’s biggest upset if more Academy member watched “Lion” after the nominations were announced. Ali won the SAG while Patel won the BAFTAS. This is the drama that I mentioned at the top of this story. Winner: Viola Davis. She’s a powerhouse in this film. She goes toe to toe with Denzel Washington and, in numerous times, she steals the scene from him altogether! “La La Land” heads into the ceremony with a leading and record-tying 14 nominations in 13 categories (shared with “All About Eve” and “Titanic”) but will likely end the evening with less than that. Will it break the record 11 wins shared by “Ben-Hur”, “Titanic” and “LOTR: The Return of the King”? There’s only one way to find out. Watch the Oscars and you may just witness history.